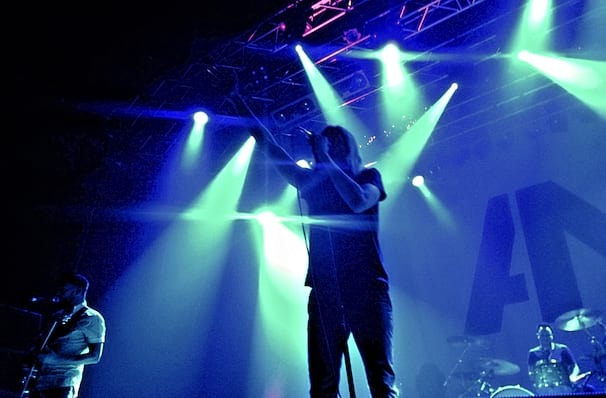 AWOLNATION return to a stage near you! The band behind the international mega-hit 'SAIL' returns with a new tour! Fronted by Los Angeles native Aaron Bruno, AWOLNATION burst onto the music scene back in 2011 with their first record Megalithic Symphony, a crashing synth pop roller-coaster ride, which has gone onto sell over half a million copies in the United States alone. In, the band recently released the track 'Passion', the first song off AWOL's upcoming third album. Soon after the group dropped another track, 'Seven Sticks of Dynamite'. It's a slow-burning, stripped-down blues featuring the full range of lead singer Bruno's vocal. Sound good to you? 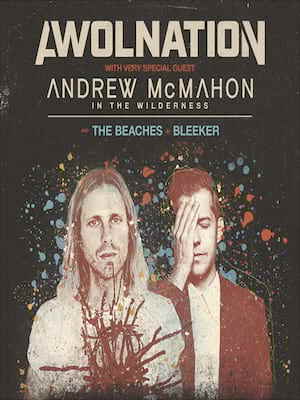 Share this page on social media and let your friends know about Awolnation at The Ritz. Please note: The term The Ritz and/or Awolnation as well as all associated graphics, logos, and/or other trademarks, tradenames or copyrights are the property of the The Ritz and/or Awolnation and are used herein for factual descriptive purposes only. We are in no way associated with or authorized by the The Ritz and/or Awolnation and neither that entity nor any of its affiliates have licensed or endorsed us to sell tickets, goods and or services in conjunction with their events.